It was a spontaneous decision to take a road trip to Bulgaria before New Year’s eve. We entered Bulgaria from Ruse and drove for about 2 hours to our first stop: Prohodna Cave. And after that, another two hours to Belogradchik village, to see the famous rocks. However, we didn’t quite realize what an amazing destination we’d chosen. As we turned off the main road, bizarre rock formations started to appear and following the tourist signs was no longer needed as we drive through winding roads and closer to a mystical wonderland. Huge rocks colored in a mix of reds, oranges and yellows topple more than 200 meters high above and all around us. Spread over 30 kilometers in length and three kilometers wide, they dominate the scenery with their strange shapes. We were just blown away! Before we visited it , we had this idea that the rocks can only be seen inside and around the fortress. 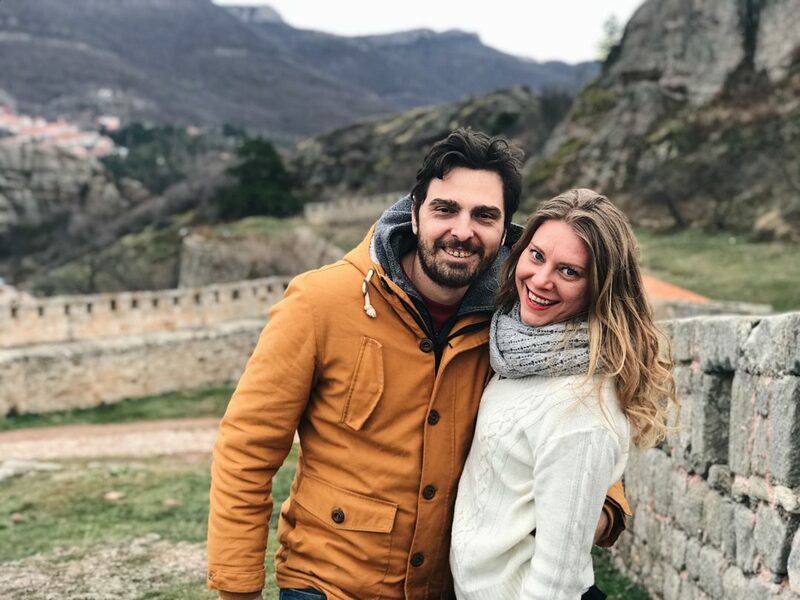 We couldn’t imagine that entire area is sounded by them, and the fortress is simply the highest point with a view to the entire city and all rock formations. 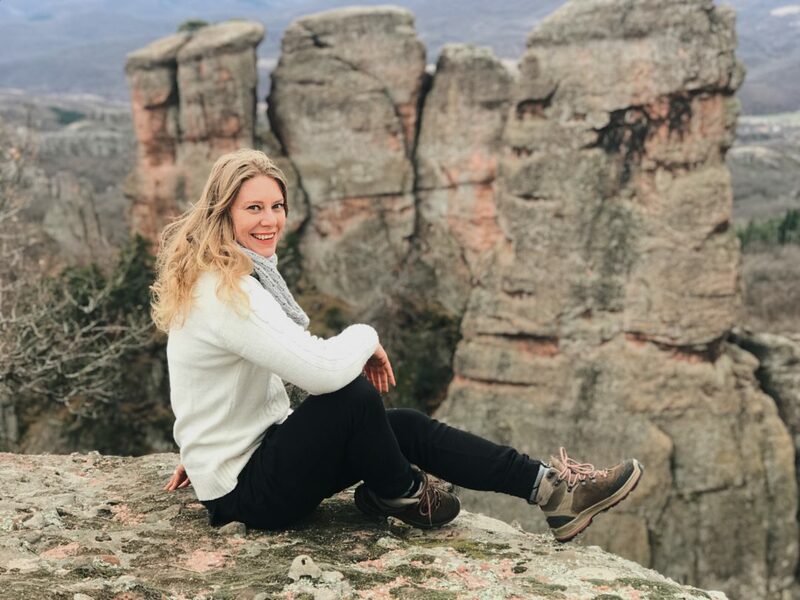 Belogradchik village lies in the middle of this amazing scenery, in the north-west of Bulgaria at the foot of the Balkan mountains which run along the border of Serbia, Romania and Bulgaria. The rocks are said to have been formed millions of years ago as a result of erosion and other natural activities. 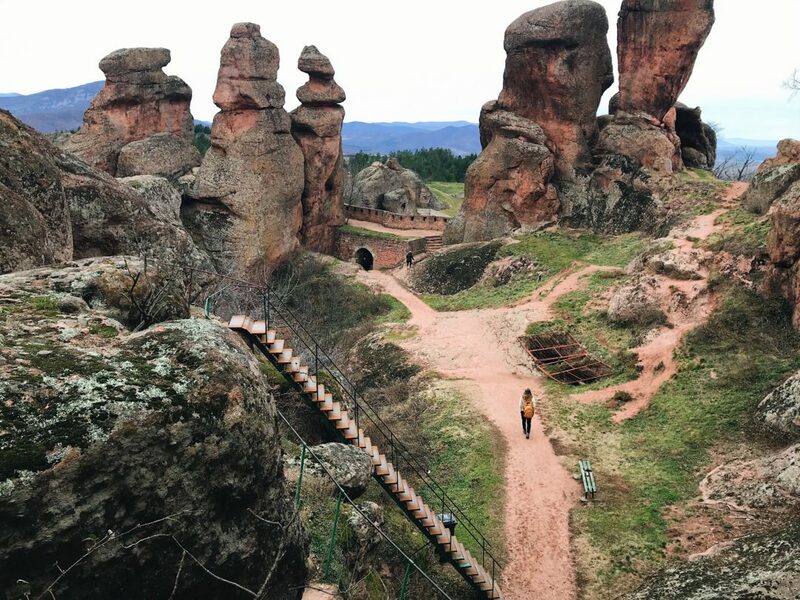 I have seen a lot of natural rock formations but the ones in Belogradchik were really unique. 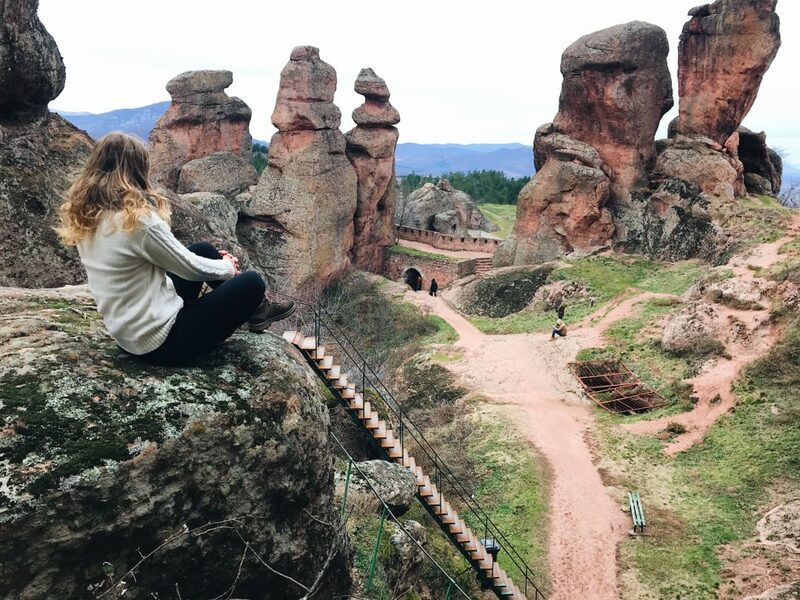 The village sits quietly among few smaller rock formations and its view from Belogradchik fortress is amazingly beautiful. 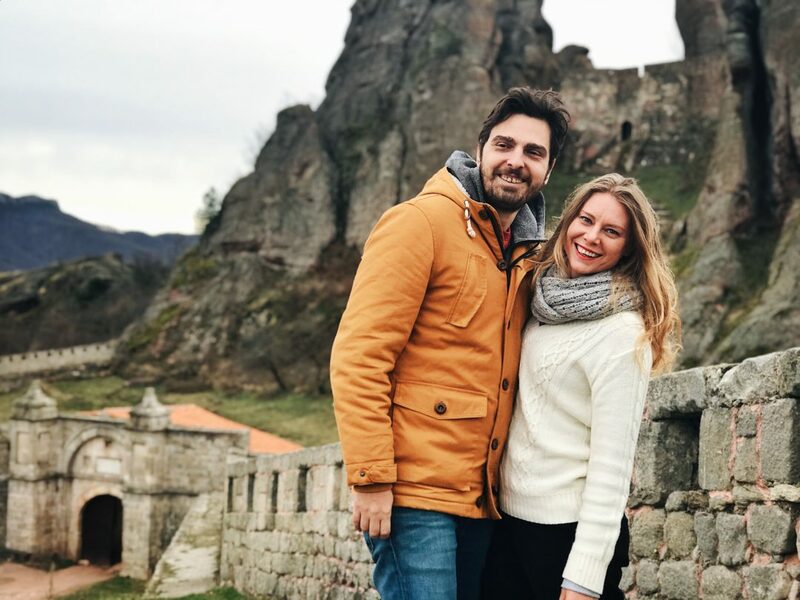 The name Belogradchik literally means “white construction,” standing for the shining fortress rising above the town, while the official name of the fortress is Belogradchik Kale (kale meaning a fortress in Turkish). 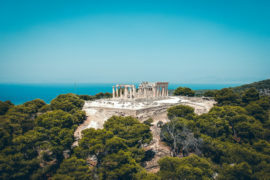 The first fortress has been built during the Roman Empire. The rock formation was used as natural protection. 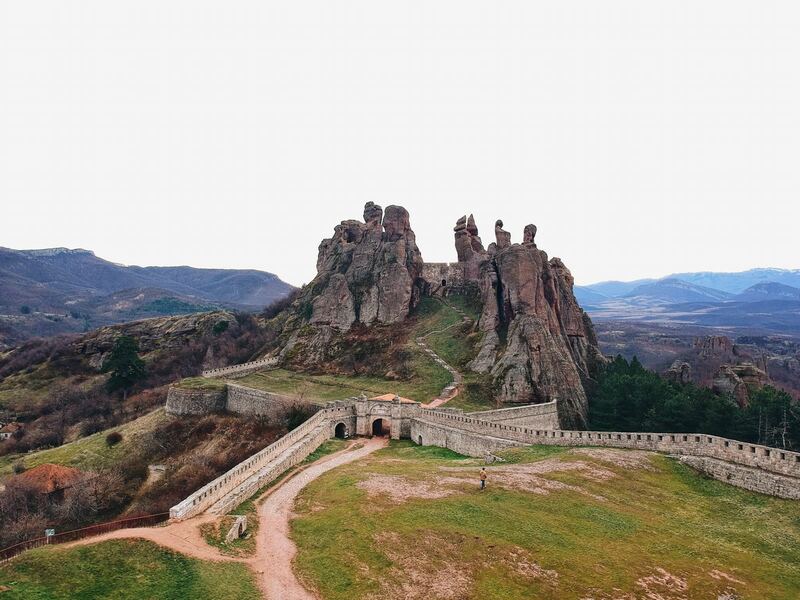 At the initial state of its life, the Belogradchik Fortress served merely as a lookout point. It has been extended during the 14th century and it became one of the most important strongholds in the region. It is said to have played an important role in the Ottoman suppression of Bulgaria. Nevertheless it is a strange and amazing fortress. 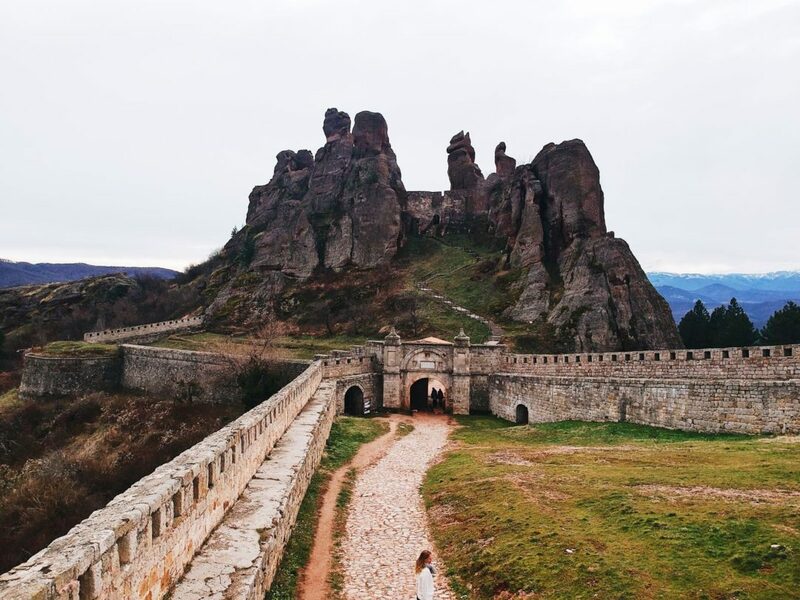 Inside the Fortress are the Belogradchik Rocks as part of its natural defense. The fortress walls are over 2 meters thick and up to 12 m high. 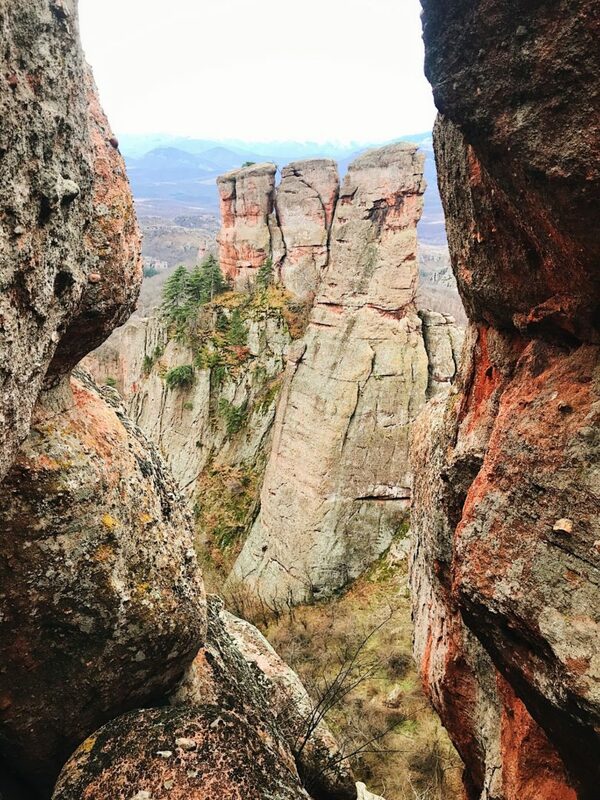 The Belogradchik Rocks are a Unesco World’s Heritage Site. 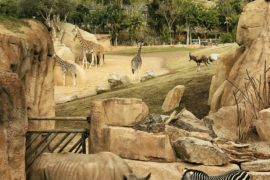 They are a group of strangely shaped rock formations They are made largely of limestone and are red to yellow in colour, and some of them reach 200 meters in height. The rocks all have names and many are associated with legends. Some of the names are Adam and Eve, the Mushrooms, the Shepherd Boy, the Lion, the Camel, the Rebel Velko, and many other stone figures. The fortress has three separate yards and one fortification. 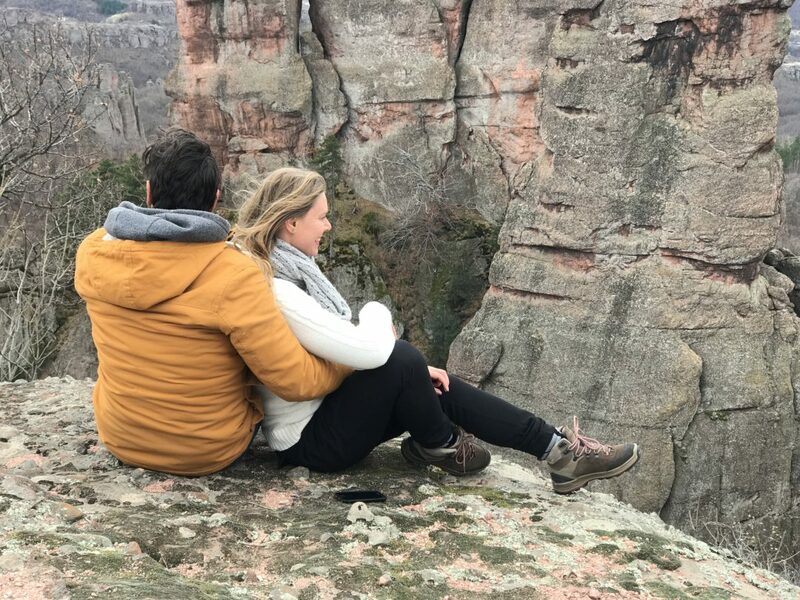 From the highest point of the Belogradchik fortress, you will have a beautiful view of the rocks and the marvelous mountain. This is also the perfect place for photos because of the fascinating background. 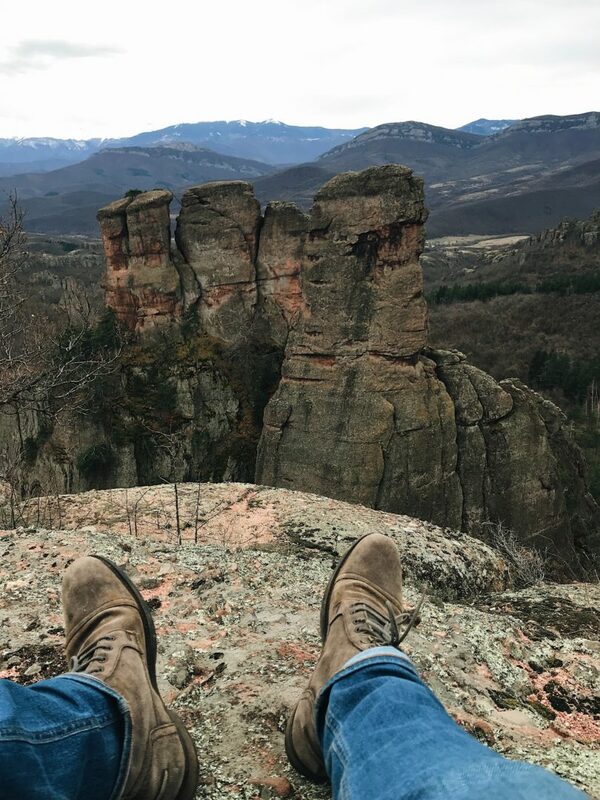 The best time to visit the Belogradchik rocks is when the weather is warm and dry. 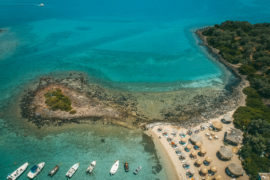 Spring, summer and autumn are all suitable seasons but it is a good idea to check the weather forecast and choose the best day. 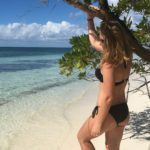 If it rains, the rocks become slippery and if it is hot, you are going to feel like you are in a stone oven. It is a good idea to have with you a sun hat, sunglasses and a sun cream, if you choose a hot day. Having a raincoat in your bag will save you trouble if it starts raining. This is the best and easiest way, although the roads are not perfect. Belogradchik lies between Montana and Vidin road. From Sofia, the trip time by car is about 3 hours. Trains on the Sofia-Vidin line. 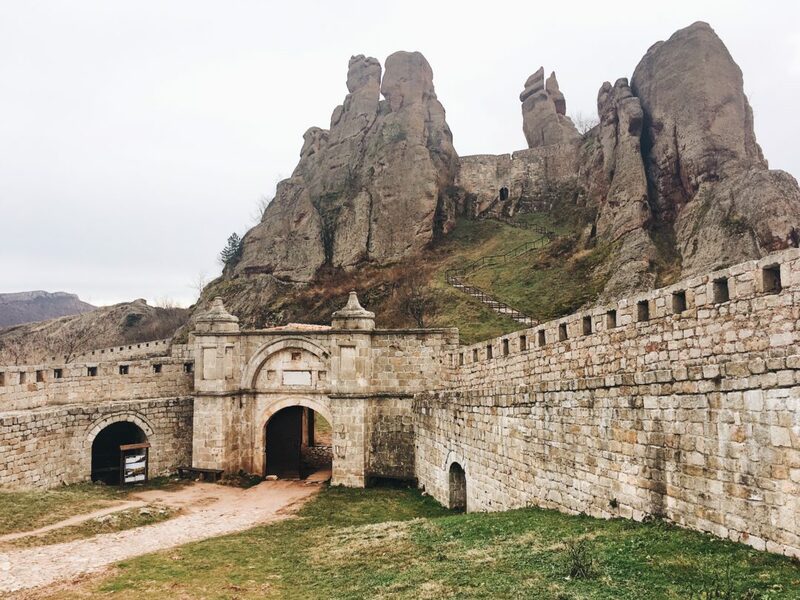 You will have to stop at the village Oreshets, which is about 10 km away to Belogradchik. Regular buses and taxi service connect the railway station to Belogradchik. 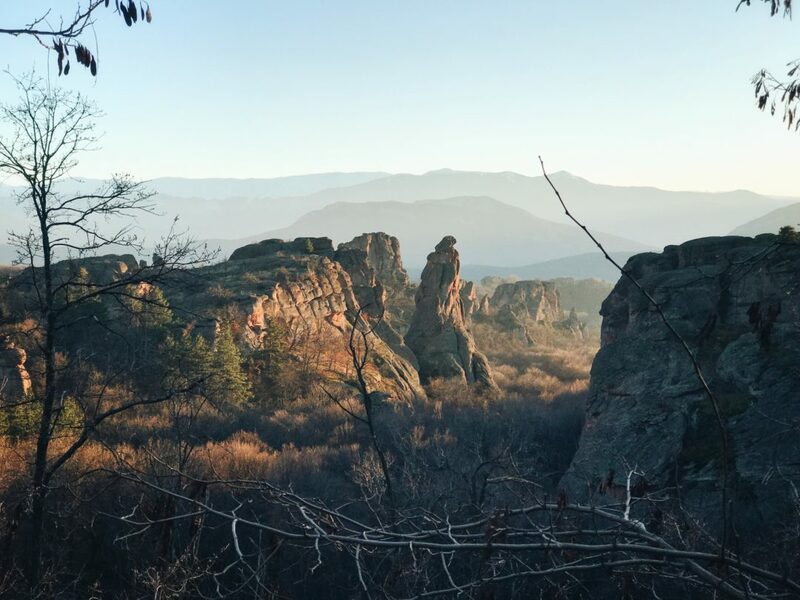 Spend a day exploring the area’s unique rock formations on one of the many marked trails through the surrounding hills. Ranging in length from 4 km to 24 km round trip, the trails are perfect for a leisurely afternoon stroll or a full day adventure. 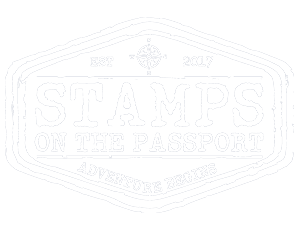 They offer beautiful views of the surrounding hills and rocks and opportunities for viewing local wildlife and exploring local caves. For trail maps and information about local guides visit the Visitor’s Center on the main square. 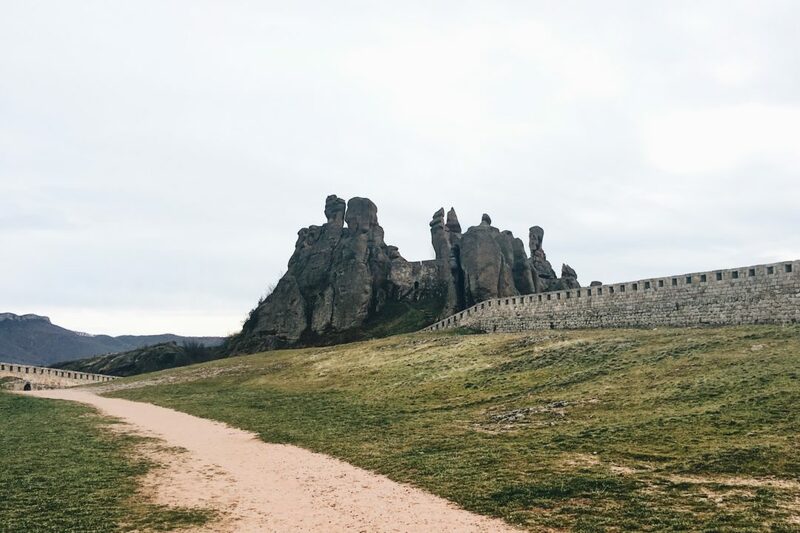 We will return to this amazing place and do a little hiking that we couldn’t arrange while visiting Belogradchik.